Michael Blichar Jr. just wrapped up his first campaign for State Representative in the 187th Legislative District of Pennsylvania. A Kutztown University Vote Everywhere Alumnus, this past year he was elected to the Berks County Democratic Committee. Shortly after, he was asked to run in the state race for the district. He says, “I’m young, but I’m also energetic. I’m willing to make change happen, and I’m willing to listen to my constituents. 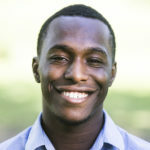 I think it’s important for young people to want to run, especially for local government, because local government can have such an impact on people’s lives.” Although he was not victorious, he received 10,473 or roughly 40% of votes in the district. Michael Blichar during his tenure as a Vote Everywhere Ambassador. Currently, Blichar still serves on the Kutztown Borough Planning Commission. The commision addresses community needs by reviewing proposals for new developments and public projects in the borough. We recently sat down with Blichar for our “ Where are they now” series to discuss his experience in the Vote Everywhere program, how it affected his post-college career, and the Andrew Goodman legacy. KH: Vote Everywhere has grown significantly since it was first piloted in 2014. The program has become a national, non-partisan, civic engagement movement of student leaders and university partners. Can you tell us what inspired you to join the program and how it contributed to your plans after graduation? I was a Political Science major in undergrad. I already had a significant interest in American politics, as well as in the importance of people’s voices being heard in elections. 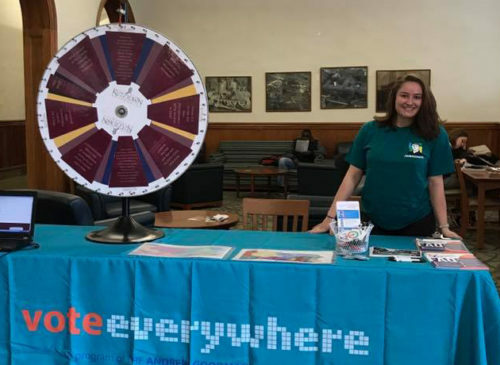 When I found out that there was a position open on our campus for Vote Everywhere, I got really excited and I wanted to do it right away because I felt like it was a unique experience to not only do voter engagement on my campus but also meet other students who are doing this work across the country. I became a Vote Everywhere Ambassador the year of the 2016 Presidential Election. For me, I felt like the work was more important than ever. 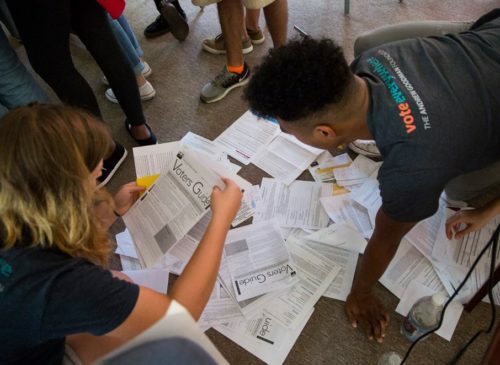 To really be involved, to let students know about the power of their voice, and how they can have a real effect in an election was an invigorating experience. My favorite event was helping students get to the polls on Election Day. Since our polling place wasn’t on campus anymore, we had to bus students who didn’t have a car to the polling location. Seeing how excited students were that somebody was there for them and that they were able to go and vote on Election Day was really fulfilling for me. That is how I knew that, once I graduated, I really wanted to get into politics and be more engaged with voters. KH: You were the first alumnus of the Vote Everywhere program to run for political office. This was also your first campaign. Why did you decide to run for State Representative and how did it come about? The candidate who originally ran for state representative in my district withdrew from the race in June. Since I am a part of the Berks County Democratic Committee, and I’ve been heavily involved in the district, my name was forwarded to the state party. After that, I was asked to run and the state party approved my name to be on the ballot. So, it was kind of an interesting turn of events. I’m only twenty-three. I definitely wasn’t expecting to run for the state legislature this early in my career but I said yes automatically when I was asked because I saw it as an opportunity to jump right in and really start a movement. I saw and see this as kind of bigger than myself. It is a way to engage with young people. The momentum that I had with young people and Vote Everywhere, I saw it translate with what I was doing as someone young, running for state office, who can serve as the voice of the people, too. Youth, especially after the election, felt like their voices weren’t heard or and that their vote didn’t matter but I really believe we should work to change that. KH: The 2018 Midterm Elections saw a surge in the number of young people running for office. Abby Lea Finkenauer and Alexandria Ocasio-Cortez, both age 29, became the youngest women ever elected to Congress. What are your thoughts on more young people running for office? There are multiple challenges when it comes to young people running for office. Our political system is ageist. People don’t believe that young people can be civically engaged and they certainly don’t believe that they would run for office. I felt like people assumed early on in the campaign that I was inexperienced or not as knowledgeable as some of the older candidates. However, young people are extremely knowledgeable. When I spoke to crowds on the campaign trail, they were shocked afterward. They would say things like, “well, he knows what he’s doing, he knows what he’s talking about.” And I think for young people, the key really is to listen to others. While people may judge you at first, I think it’s important to put aside those judgments in order to listen to their concerns and the issues they have on their minds. That’s something that I had to do just on my own, running for office, to really challenge those stereotypes. I also think young people are going to be the ones affected by decisions made now. So if young people aren’t running, then the decisions made by others that get elected are going to affect us and our future, without any true representation at the table to begin with. I think we should be making the decisions for ourselves as to what our future is going to look like. There’s a lot of issues at stake and I don’t think we should leave it up to whoever gets elected to make those decisions. 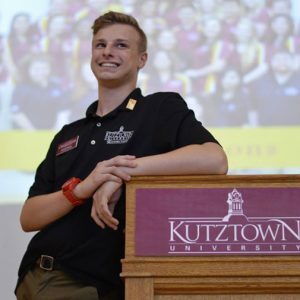 KH: What is one skill you gained from your Vote Everywhere Ambassadorship that has been most valuable in your career, either on the campaign trail, in your capacity in the Berks County Democratic Committee, or Kutztown Borough Planning Commission? The interesting thing about Vote Everywhere was it really challenged me to see things from a different perspective. While I was a huge advocate for progressive issues, Vote Everywhere really challenged me to listen to conservatives and people who are a little more moderate in their political stances. 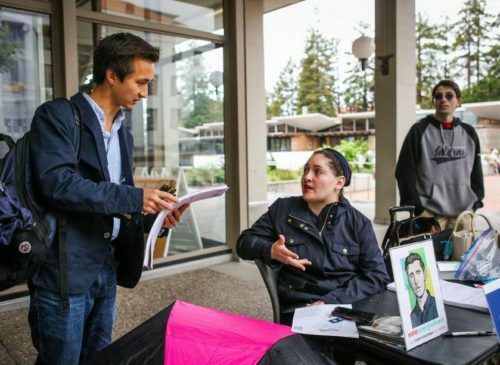 When I was a Vote Everywhere Ambassador during the 2016 election, there were students who were avid Trump supporters, avid supporters of the Republican party, and while I don’t necessarily agree with all of those stances, the skill that I gained was the ability to sit down and listen to them. On the campaign trail, I ran in a district that has been red for a very long time, it has been held by a Republican incumbent and the district itself is very conservative. So as a candidate, I had to take a moderate stance, pretty much a bipartisan stance on a lot of issues. I had to speak with a lot of conservative voters who didn’t agree with me on every issue, but I look back to my Vote Everywhere experience and I’m thankful for the opportunity because it really set me up to meet the challenge.